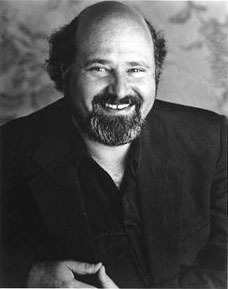 As a performer, Rob Reiner greatest fame came from All in the Family, where he played the lovable but longwinded liberal Michael Stivic, Carroll O'Connor and Jean Stapleton's son-in-law and Sally Struthers' husband. Later in his career he morphed into a director, and crafted many people's favorite films from the late 1980s to the mid-1990s, including the near-perfect fairy tale The Princess Bride with Cary Elwes and Mandy Patinkin, the 1950s adolescent memoir Stand By Me with the young River Phoenix, the quintessential romance When Harry Met Sally with Billy Crystal and Meg Ryan, and the brilliant mock rockumentary This Is Spinal Tap, featuring such timeless tunes as "Big Bottoms" and "Lick My Love Pump." His father is actor, comedian, and film director Carl Reiner, and young Reiner joined the Screen Actors Guild at the age of eleven when his father got him a small part on an episode of 77 Sunset Strip. Through his late teens and early 20s he worked on TV shows from Alfred Hitchcock Presents to Batman to That Girl. At 21 he was a staff writer on The Smothers Brothers Comedy Hour. Reiner's film debut was a bit part in The Big Mouth with Jerry Lewis in the title role, and his first substantial role was in his father's Enter Laughing with Jose Ferrer and Shelley Winters. He played attorney George Segal's client in his father's brilliant comedy Where's Poppa? with Ruth Gordon, but before All in the Family Reiner was probably best known as 'Leaky', Jeff Bridges' classmate at an almost-all-black inner-city high school in Halls of Anger. In his most memorable moment in that movie, Reiner briefly admires a pretty black girl, which leads to a near-race riot. He became famous playing "Meathead" on All in the Family, but Reiner had other projects in the 1970s. He wrote the pilot episode of Happy Days for Ron Howard, and produced a short-lived but high-quality dramatic series for ABC, Free Country, which was Joe Pantoliano's big break. He also produced the TV movie More Than Friends, a sweet but not sticky romance starring Reiner and his then-wife Penny Marshall. The film has a happy ending, but the stars divorced mere months after the movie aired. After All in the Family, Reiner produced and starred in an unsold pilot called The TV Show, a sketch comedy concept with a cast of future stars including Crystal, Christopher Guest, Michael McKean, and Harry Shearer. ABC showed the pilot, but showed no interest in picking up the series. A few years later, Reiner, Guest, McKean, and Shearer made This Is Spinal Tap, with Crystal in a cameo role, launching Reiner's directorial career. Reiner had an impressive winning streak with seven big box office and critically-acclaimed films in a row, beginning with Spinal Tap and culminating with the military drama A Few Good Men starring Tom Cruise and Jack Nicholson. Then came the disastrous flop North, an ill-conceived comedy about a boy divorcing his parents, but Reiner rebounded with The American President starring Michael Douglas and Annette Bening. Since then, though, Reiner's work as a director has yielded neither embarrassment nor noteworthy success. His last film was Rumor Has It with Jennifer Aniston and Kevin Costner, an amusing semi-sequel to The Graduate. Reiner co-founded Castle Rock Entertainment & Television, which has produced his films and the works of others, including Before Sunrise, The Green Mile, Miss Congeniality, The Shawshank Redemption, and the sit-com Seinfeld. Castle Rock is now a subsidiary of Warner Brothers, and Reiner is a very wealthy man. He is politically active in California, where he was a leading proponent of a tax on cigarettes passed in 1998, raising funds for early-childhood education. He founded Parents' Action for Children (formerly the I Am Your Child foundation), focusing on the importance of the first three years in a child's lifelong healthy development. Reiner has been mentioned as an eventual candidate for Governor of California.